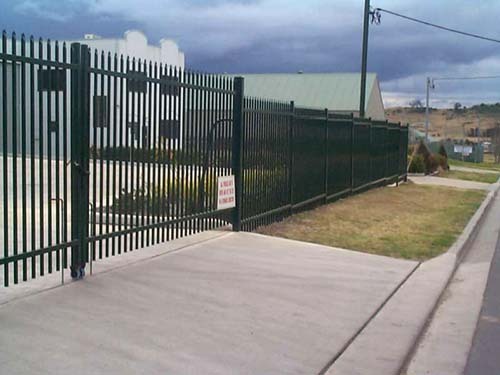 Pressed Form Spear Security Fencing is a tidy and effective solution for commercial and industrial security requirements. 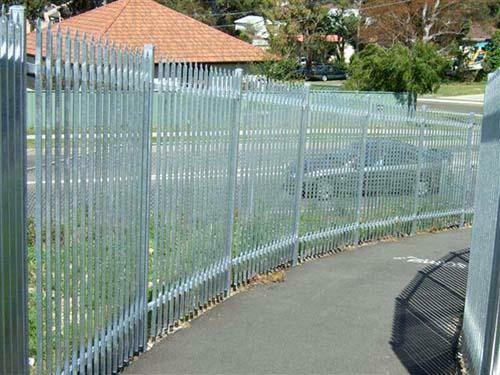 Also known as Diplomat Fencing, it is made from steel or aluminium tubes, with a pressed top that forms a spear shape. 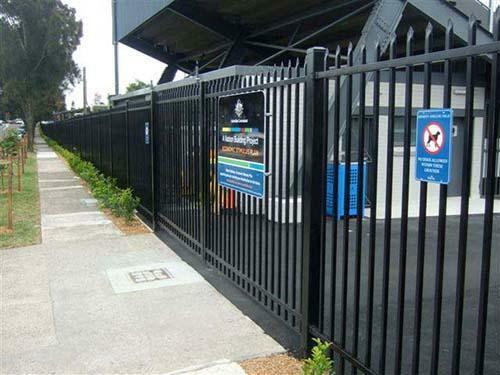 Available in a variety of sizes, either powder coated or galvanised, this type of fencing is predominately used by building companies, schools, rail sites, local councils and sports grounds. 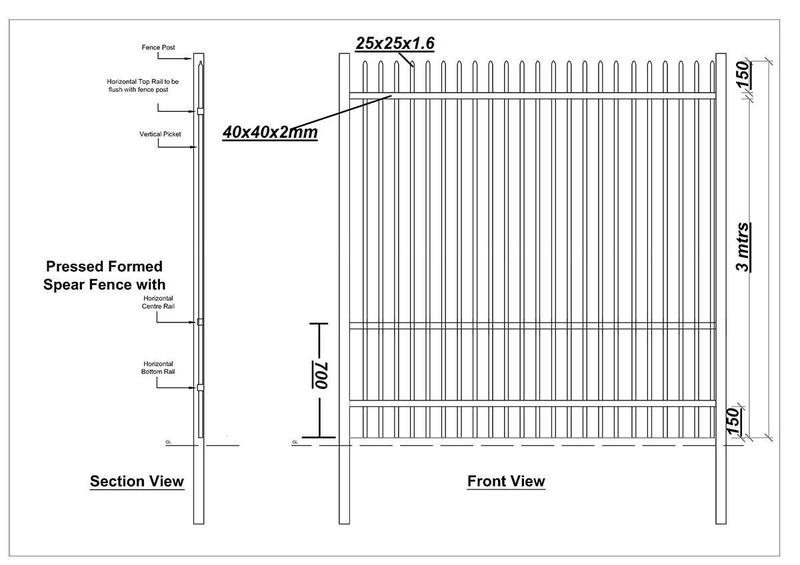 We can also provide Pressed Form Spear gates and add on's such as Razor Wire or Barbed Wire.